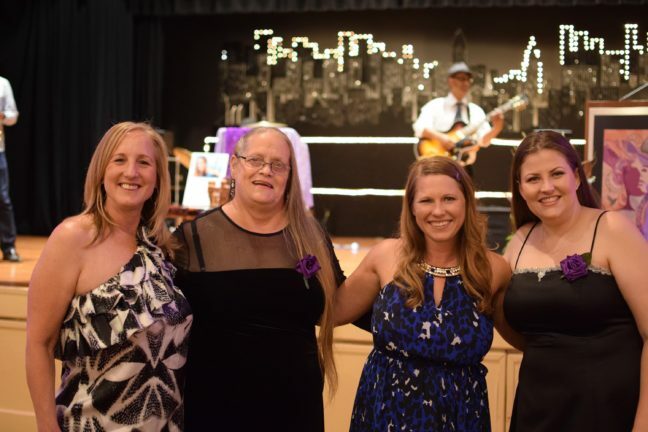 Community members are invited to sponsor a graduate or buy tickets to attend the 17th Annual Celebration of Independence Gala that benefits Women’s Empowerment, a local nonprofit job training and empowerment program for women who are homeless and their children. The event, which raises funds for the organization and honors the group’s 1,503 graduates, will take place 5:30-8:45 p.m. on May 23 at the DoubleTree by Hilton, 2001 Point West Way, Sacramento. Guests will mingle with graduates from the program and enjoy a formal dinner, live and silent auctions, live music and presentations from the graduates. Tickets are $125. Those who cannot attend, or wish to contribute more, can sponsor graduates to attend the event. For tickets or sponsorship opportunities, call (916) 669-2307 or visit www.womens-empowerment.org. Women’s Empowerment also will announce the winner of the 2018 To Heal the World Award. This award, created in honor of their founding social worker, Erie Shockey, recognizes a local hero who inspires others to engage in social change and makes the Sacramento community a better place for all. Women’s Empowerment was featured on NBC’s The TODAY Show in 2015 for offering the most comprehensive job-readiness program in the Sacramento area designed specifically for women who are homeless and their children. The award-winning organization has graduated 1,503 homeless women and 3,600 children. Last year, 92 percent of graduates found homes and 77 percent found jobs or enrolled in school or training. The program combines self-esteem courses, job training, health classes and support services to help homeless women across diverse ages, races and cultures. Women’s Empowerment is funded through private donations from the community and receives no government funding except for in-kind rent from the County of Sacramento. To make a donation: www.womens-empowerment.org.